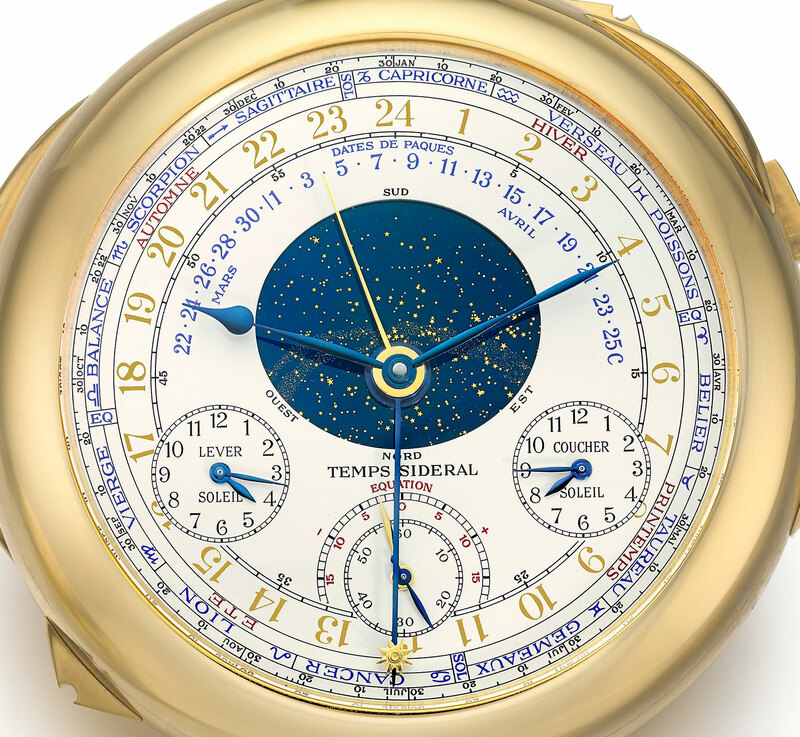 Once the world's most complicated timepiece goes unsold in Geneva. The star of the first day of the spring Geneva watch auction season was undoubtedly the Rolex ref. 6062 “Bao Dai”, owned by the last Emperor of Vietnam and now worth a mega US$5m. But the second day’s highlight is a far more monumental watch, the 33-complication, double-faced Patek Philippe Calibre 89 in yellow gold, which just went unsold. The saleroom in Geneva’s Mandarin Oriental was stacked with prominent personalities including collector Claude Sfeir, Antiquorum founder Osvaldo Patrizzi, Singapore retailer Michael Tay, as well as Christie’s watch department head John Reardon. Opening the bidding at SFr5.9m, the auxtioneer nudged the price upwards in SFr50,000 increments. But after several pregnant and the auctioneer’s valiant efforts while raising the price to SFr6.45m – the low estimate was SFr6.5m – the Calibre 89 passed. 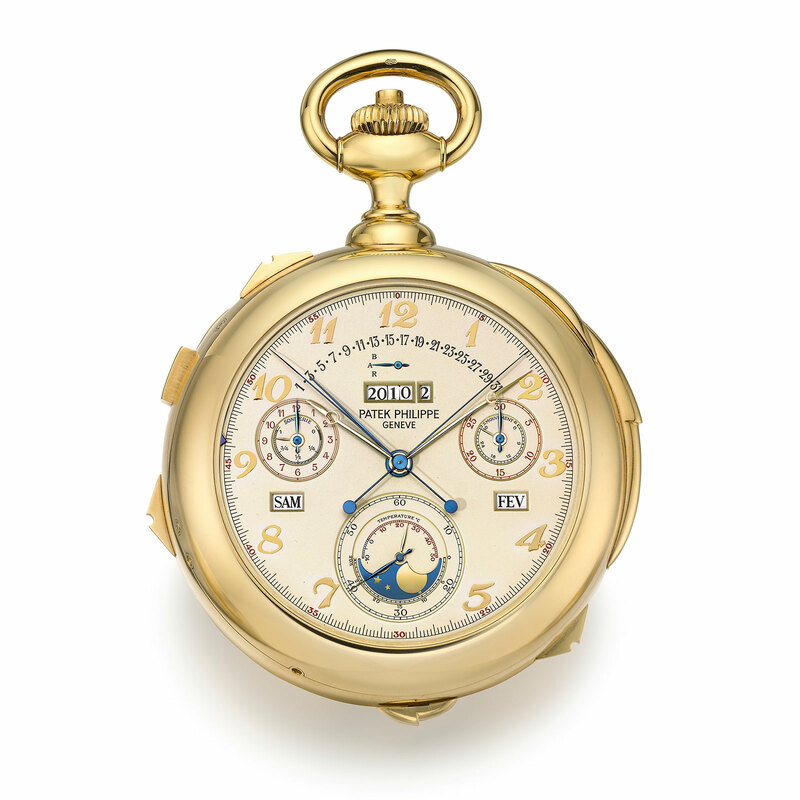 The lack of interest is an ignominious result for a historically important timepiece, one that was the most complicated ever when it made its debut in 1989 for Patek Philippe’s 150th anniversary. Sotheby’s placed an estimate of SFr6.5m to SFr10m, with the result confirming the pre-sale scepticism amongst insiders, since this Calibre 89 was shopped around for some time last year, with Christie’s offering it via private sale for over US$10m. The fact that it has gone through several hands, perhaps being the most sold Calibre 89, also had an impact on its allure. Now there will undoubtedly be offers made privately, and perhaps the watch will still disappear into a collection somewhere.